You are here: Home / News / Sketchnoter extraordinaire! 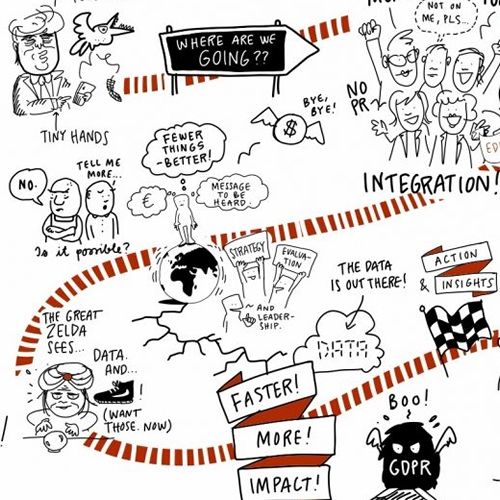 One of the most talked about features of the AMEC Global Summit was the work of Linda the sketchnoter. Linda Saukko-Rauta interpreted the key points of speaker presenters and visualised them on screen in front of delegates before the session was over! Based in Finland, Linda was brought to the Global Summit through the creative sponsorship of AMEC member, byBrick Insight in association with AMEC. Linda’s sketchnotes are available on the AMEC website.